Show everyone your Softball All-star in this stylish Personalized Youth Hoodie! Whether its keeping warm during practice or heading to the game this hooded sweatshirt is sure to show off your softball pride! 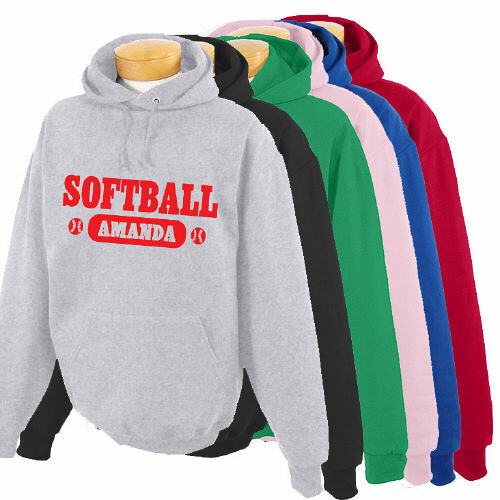 Your Personalized Softball Hoodie is available on our premium 50% Cotton / 50% Poly NuBlend Personalized Sweatshirts, machine washable in youth sizes S-L with A front muff pocket. Your new custom printed hooded Sweatshirt can be any of 6 colors: Grey, Black, Kelly Green, Royal Blue, Pink or Red . Choose between 14 print colors. Custom Printed Shirts include FREE Personalization! 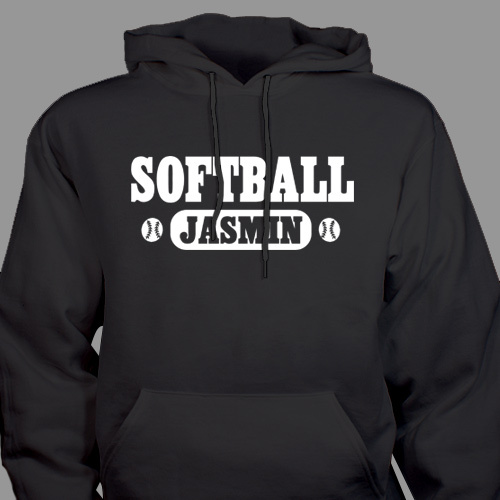 Personalize your Softball Hoodie with any name. 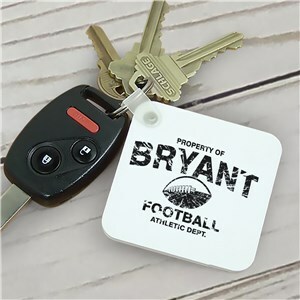 For all Personalized Sports Gifts, Shop GiftsForYouNow.Com! Be sure to also view our other personalized youth hoodies like our Personalized Dance Hooded Youth Sweatshirt and our Personalized Baseball Hooded Youth Sweatshirt as well!